Scary masks are fun ways to scare people around during the Halloween, fancy dress competitions, etc. Printable masks are cost-effective alternatives to those expensive high-quality masks available in the market today. Further, you need not buy specific garments to match with these as they go well with any kind of clothing or just a simple black outfit. The availability of a variety of printable Animal Scary Masks on the net has increased nowadays. Be sure to check out our collection. 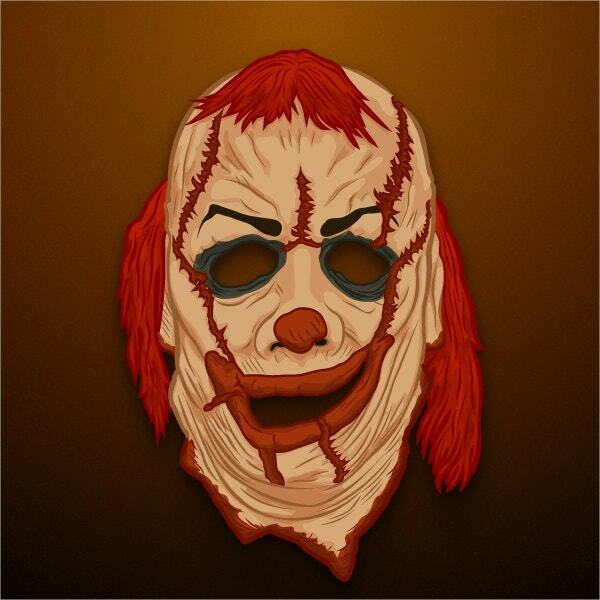 This printable scary mask has red colored hair and a torn bloody face. It can be downloaded for free from the given link. 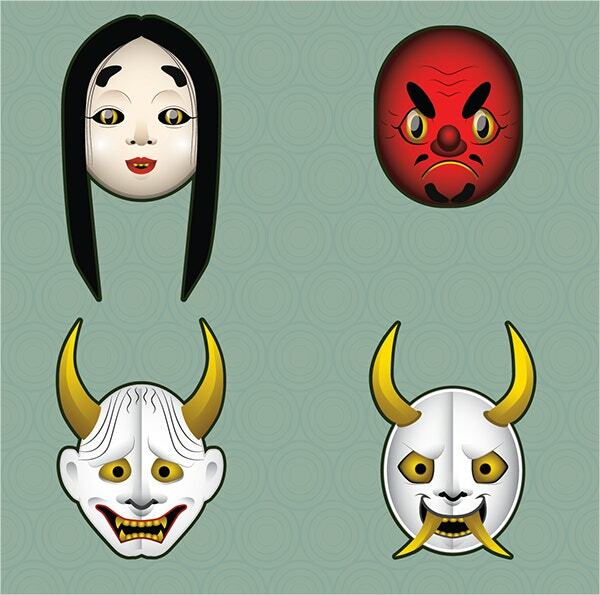 This collection of Halloween masks is vector clip Art Illustrations present on separate layers. It is priced at $5 for a regular license and $75 for an extended license. 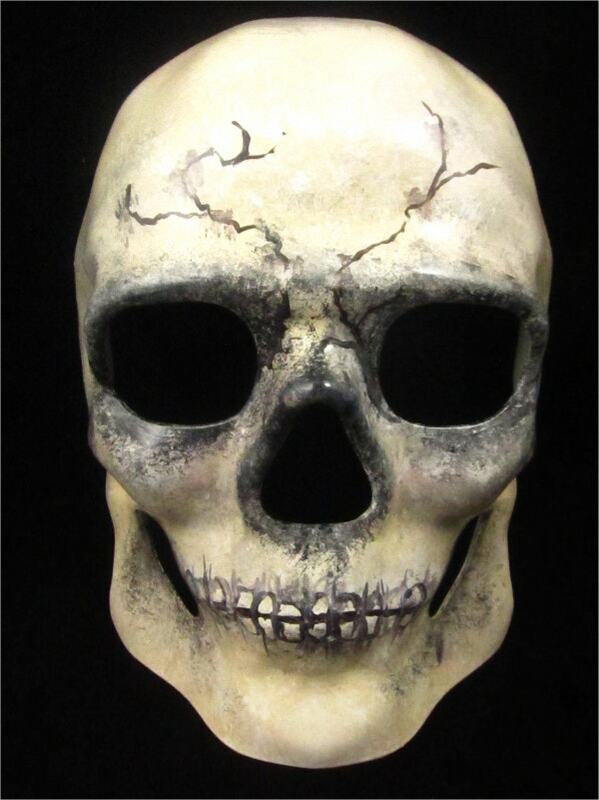 This horror-looking printable facial skeleton mask is available for free. The skeletal skull has some cracks and its big-sized scary teeth are intact. 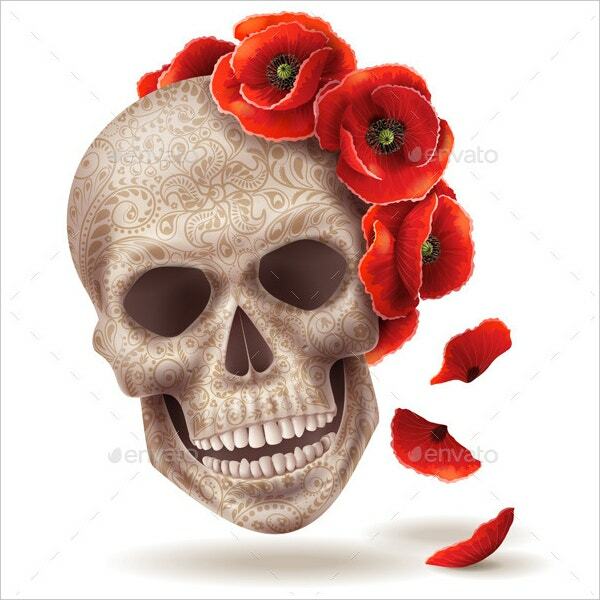 This human skull mask decorated with red poppies is available at a price of $5 for a regular license and $75 for an extended license. It is a fully editable vector. 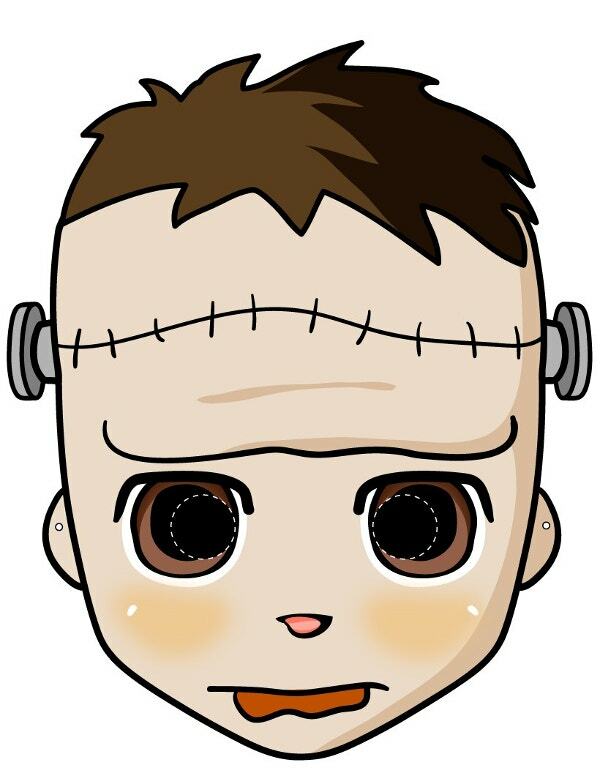 This cute yet scary printable Zombie scary mask is available for free download. It has been designed for kids Halloween costumes, craft activities, etc. 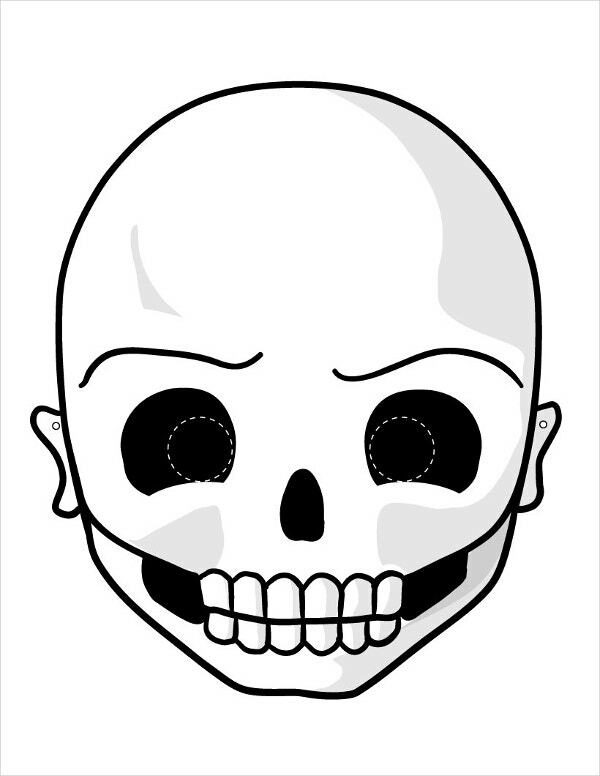 This printable scary skull Halloween Mask cut out is available for free download. It is available in a high-resolution and in different sizes to suit your requirements. 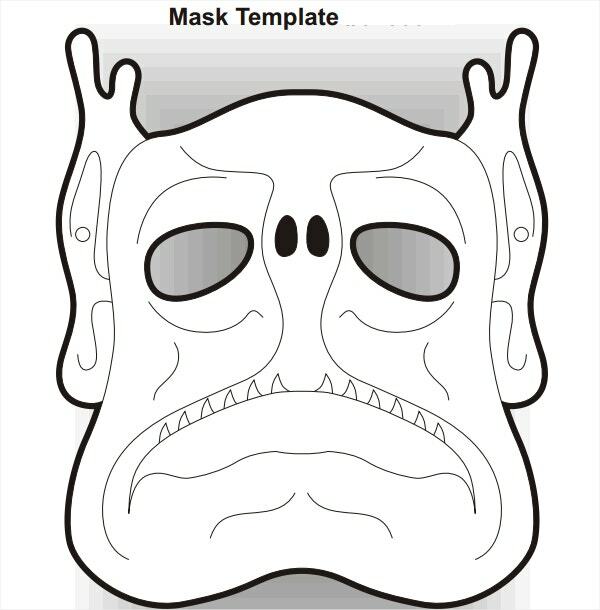 This printable dead man scary mask can be cut out and colored. It has black outlining on a white background. It can be used for different kids projects as well. 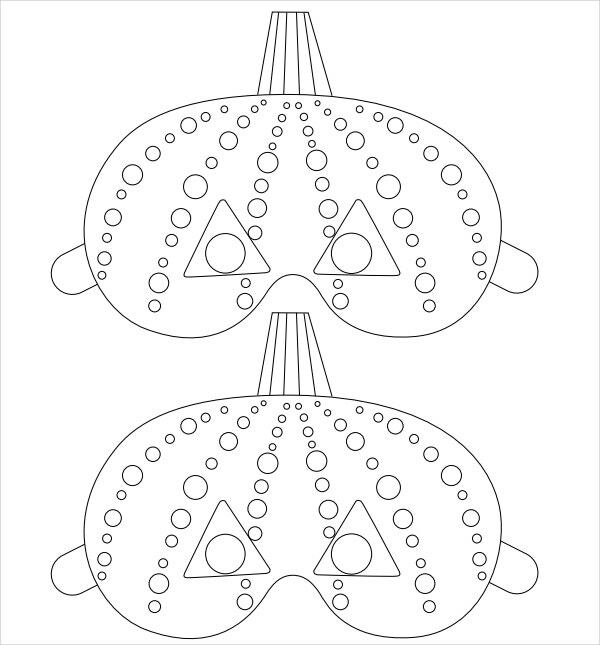 This ancient mask is a printable handmade item available for $80. It has antiqued bone color which has highlights in gray. It is shipped all over the world from the US. 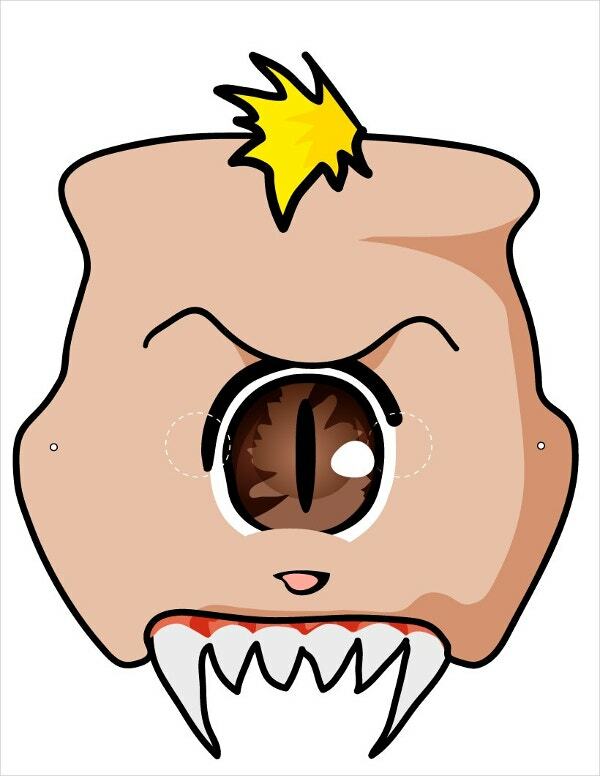 This cute yet scary printable mask is available for free download. It has been designed for kids Halloween costumes, craft activities, etc. 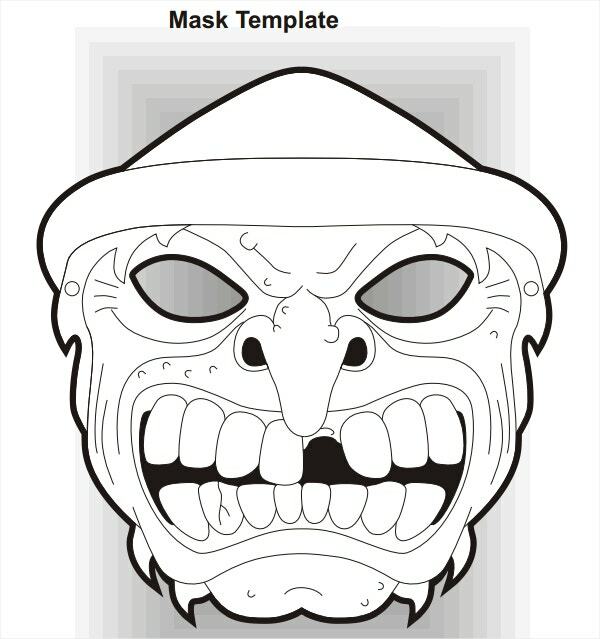 This printable old vampire scary mask can be cut out and colored. It has black outlining on a white background. It can be used for different kid’s projects as well. This scary snake mask in yellow and green is available for free download. Its usage is allowed for educational and personal purposes only. 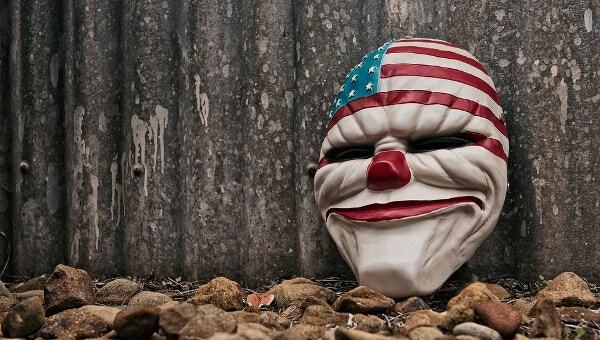 This printable dangerous-looking scary mask has horror filled up-turned teeth. It has been drawn as a black outlining on a white background. It can be used for kid’s coloring projects too. 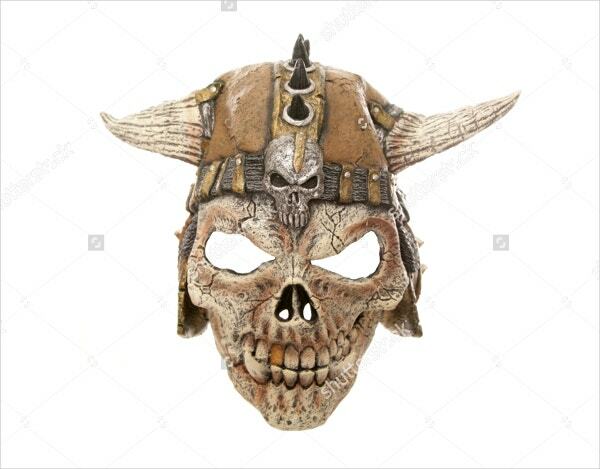 This printable sketched kid’s skull mask has shadowing and its teeth intact. It is available for free download. It can be used for Halloween crafts as well. 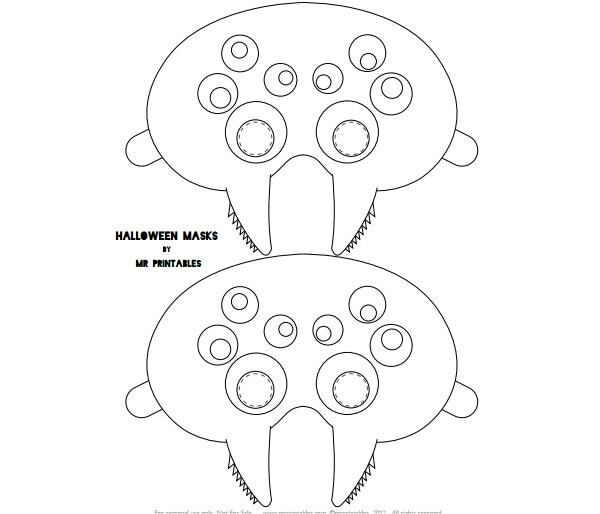 Here are two printable Spider Halloween masks. 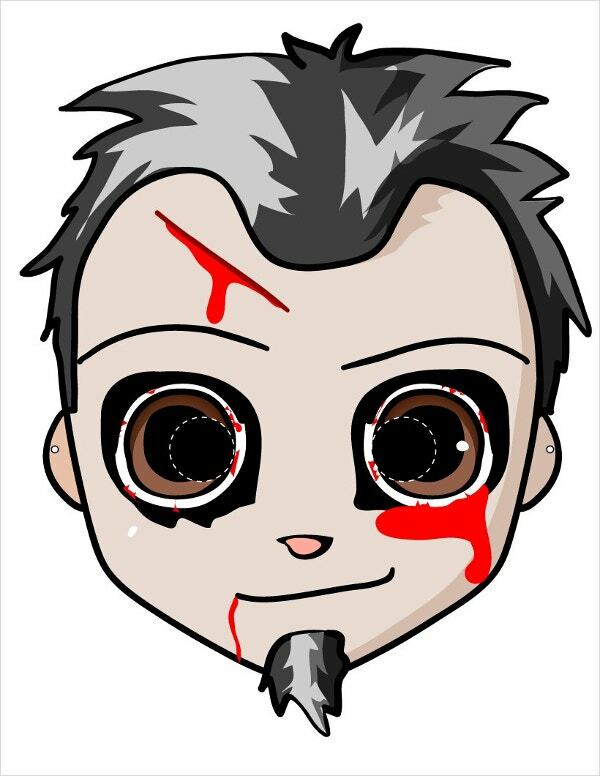 These can be used for kids coloring projects or as Halloween masks. These are available for free download. 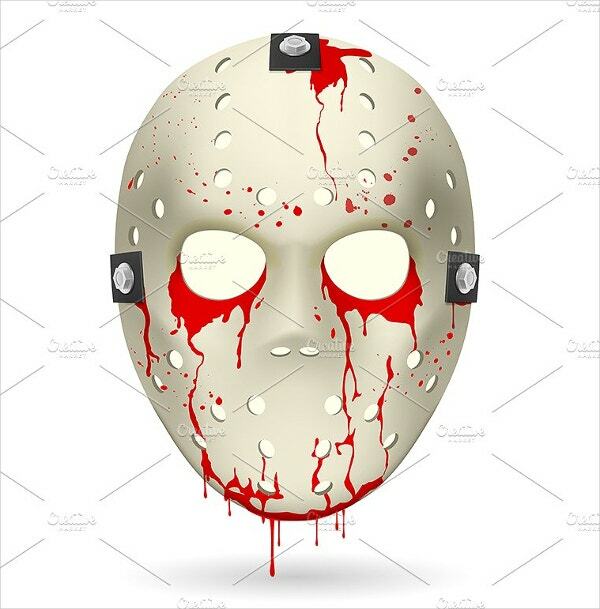 This bloody Hockey mask is an illustration vector available for $5. It is 100% scalable and fully editable. It is of the dimension 5000 x 5000 px. 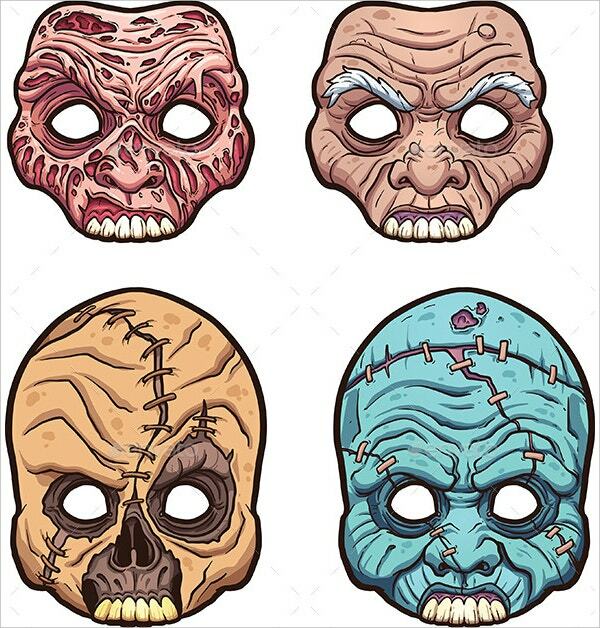 Printable scary masks of different kinds like scary paintings, horror-looking snake masks, scary Zombie vectors, etc offer an affordable way to dress up yourself and your kids for the Halloween Templates. These can also be used for different art and craft purposes. Make sure to take complete advantage of these.